Rats are far more lovable than many people think, making them a great pet for those with limited space. Rats are incredibly smart. They're also very friendly. And they develop such unique personalities. Unfortunately, rats have relatively short lifespans, often related to their predisposition for developing tumors. A tumor refers to masses or growths that appear on your pet rat, and range from benign cysts and lipomas to malignant (cancerous) tumors. And while cysts shouldn't cause a need for distress, most tumors need to be removed due to the small statue of the animal. While it may be difficult to find a vet that works on exotic pets, tumors that go untreated—both malignant and benign—can lead to a compromised lifestyle and even death for your pet rat. Rats, similar to bigger pets like dogs, can develop a variety of different tumors. Some grow quickly and are easy to spot, while others are hidden and may go unnoticed until your rat starts acting funny. All types of tumors present themselves in a similar fashion as any moveable or unmoveable growth on your rat indicates an abnormality. A mass can be singular or exist as numerous lumps. Depending on the location, your rat's movement may be impaired which can lead to lethargy, poor appetite, and weight gain. Some tumors may actually spike an increased appetite in your pet rat. However, a rat that eats a lot of food but gains little to no weight may be experiencing a nutritional offset where the intake of nutrients is directed toward the growth of the tumor. Brain tumors usually cause neurological symptoms as well as bulging eyes and a misshapen head due to tumor expansion. Upon palpating, your veterinarian can usually determine what kind of tumor exists in your rat and can recommend treatment options based on his observation. Mammary tumors are one of the most prevalent tumors in rats. They can be benign (non-cancerous) or malignant (cancerous) and grow in the breast tissue—mostly of female rats. Mammary tumors are fast-growing and hormone-dependent, responding to both estrogen and prolactin. Lipomas (also known as fatty tumors) are pockets of fat tissue that can surface on any part of a rat's body. In fact, lipomas affect many species of animals (and people too), yet no cause other than genetics has been linked to their growth. Lipomas are benign, so don't stress over a small growth. However, large growths can impede a pet rat's movement and therefore need to be removed. Male rats are the most prone to cysts, which refers to fluid-filled sacs, similar to very large pimples. Cysts are not actually considered tumors (unless it is a cystadenoma) and are often found on a male rat's back near its sebaceous glands. Cysts can pop up from a simple skin infection or ingrown hair. They are usually quite firm and do not grow as large as a lipoma or mammary tumor. Cancerous tumors are common in rats due to their significant exposure to carcinogens. The culprits exist in their bedding (pine and cedar contain suspected carcinogens), in any commercially-prepared rat food that contains preservatives and in pesticides found on the fruit and vegetable peels your rat may consume. Cancerous tumors can be found on various parts of the body and are usually indicative of a malignant mass that lies beneath it. Lastly, brain tumors (either benign or malignant) can be caused either by the presence of cancer or by an abnormality in the pituitary gland and are sometimes affected by the increased consumption of high-calorie foods. Once the type of tumor on your rat has been identified, your vet will make a recommendation for further action. Benign tumors may not require removal, as smaller growths might not bother your rat at all. However, large tumors like breast tumors, for instance, may have to be surgically removed by your exotic vet. Be aware however that this type of tumor is hard to completely remove and regrowth is common. Lipoma treatment is similar. A lipoma can either stay if it's not restricting or be removed to help regain impinged movement. Cysts are usually lanced by your vet, causing the thick secretion (or infection) to ooze out. But cysts need to be watched for infection and can regrow, leading to later surgical removal. Brain and certain types of cancerous tumors are inoperable in rats. Yet, some types of cancer can be treated with drugs like Tamoxifen (for estrogen-sensitive cancers) and supplements like turmeric and shark cartilage are reported to stunt a tumor's growth. Rats with severe health issues, however, should be euthanized once their quality of life is compromised. Do note that not all vets treat exotic pets and not all exotic vets will operate on a rat. If your rat needs surgery, be sure to find an experienced exotic vet that you feel comfortable working with. Feeding your rat a nutritious, low-fat diet can help prevent cancerous tumors in some rats. In fact, several studies show a decrease in mammary tumor formation in rats fed a diet high in miso, a soybean product. Spaying or neutering your pet rat may also help reduce the likelihood of your rat contracting cancerous breast tumors. 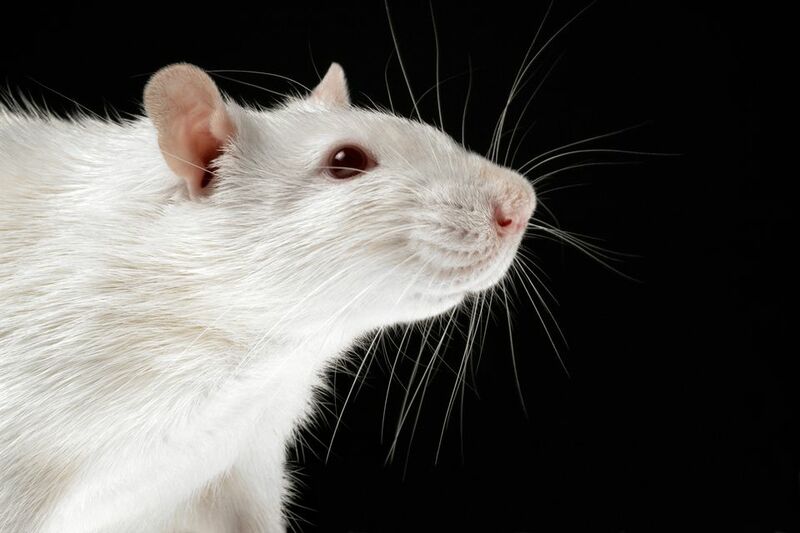 Choosing a male rat will decrease your chances of dealing with breast tumors or pituitary tumors even further. However, male rats can still grow a tumor. So it's important to remember that any rat you purchase as a pet is unlikely to lead a long life.